News hot off the press tonight. Tuesday shooting has just been agreed at Carlsberg club for the winter session. The Carlsberg Committee have offered NAC the chance to shoot on Tuesday Evenings throughout the winter . This will be available from next week, 25th October 2011. The cost will be the same as Thursdays, £3 Adults, £2 Juniors, 50p suppliment for guests. 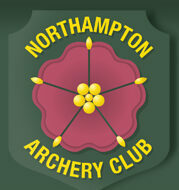 Don’t forget we now have a Compound ‘H’ stand at both our venues to ensure members arrows don’t get damaged. Hope to see you there next week.